The iPad doesn't isn't just for fun and games, and there are plenty of practical business uses for the tablet device. Going beyond the email and Internet capabilities that every business person could use, there are also a ton of apps available that have specific appeal to entrepreneurs. These apps can help you keep track of time and expenses, assist in online marketing, work with MS Office documents and spreadsheets, and much more. Couple all this with a wireless keyboard, and your iPad becomes just as useful as a boring old laptop. Note: Because these all cover different areas and functions, these apps are not listed in any particular order. 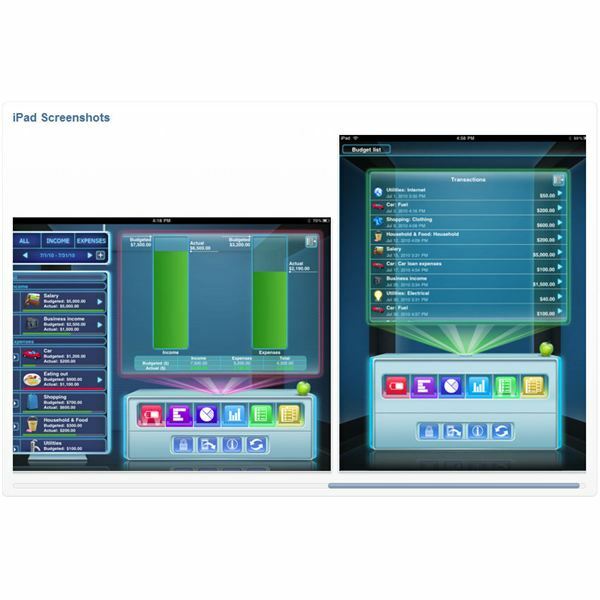 This is currently the most downloaded business app for the iPad and considered one of the top apps for the device. 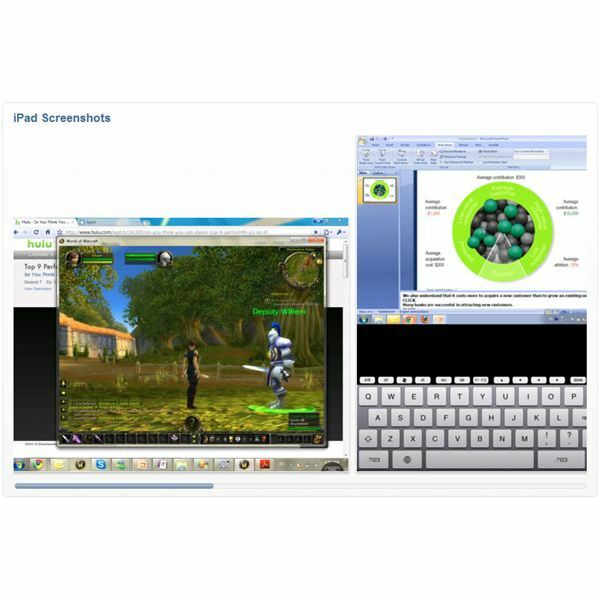 Splashtop Remote Desktop is an app that lets you remotely connect to your computer from your iPad. This would allow you to open files, run programs, and generally operate the PC from your iPad as if you were sitting in front of it. The reasons for why you may want to do this are countless because this makes the iPad an extension of your PC. This app normally sells for $19.99 but, as of this writing, it is currently on sale for just $1.99. The only reason any iPad owner would have for not owning this app would be if they didn't also own a PC or Mac. One thing the iPad does not have is a simple file explorer like what you can find in Windows, but thankfully the Dropbox app will serve as a worthy replacement. This completely free app lets you easily sync files to your iPad or iPhone, but it does also require you to download software to your computer. 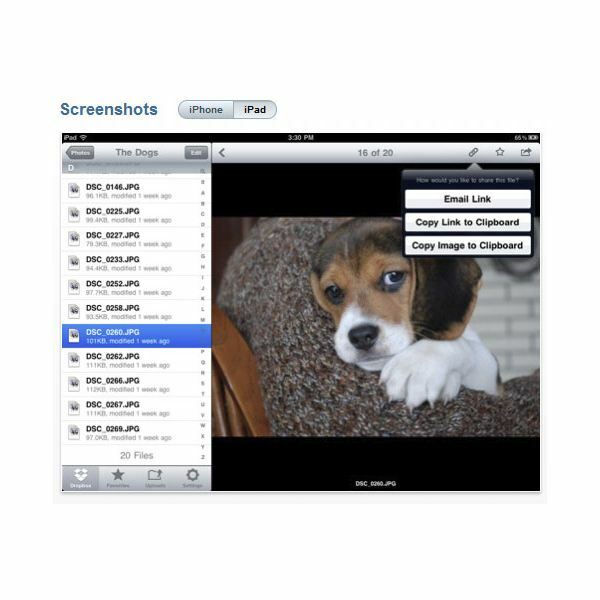 Once you get everything set up, you can use this app to access the same files from any location. If you travel a lot or use multiple devices, this is the perfect way to keep all your stuff together without having to remember which device stores your most recently updated data. The fact that it's free makes this a must-have download. Regardless of what kind of business you are in, chances are you will need to take some notes. You may need to write down a contact's name and information, notate an address or location, or even document something you overheard from a competitor. Having an iPad is a great device for taking notes, and the Evernote app lets you keep them all in one place. Best of all, it's free. On the iTunes listing for this app, the developer says that this app is to work "as an extension of your brain, helping you remember anything and everything that happens in your life." For more information be sure to read out Evernote app review. If you do direct sales of products, like an artist at a community festival or even an author at a book fair, then one app you may consider is Square. 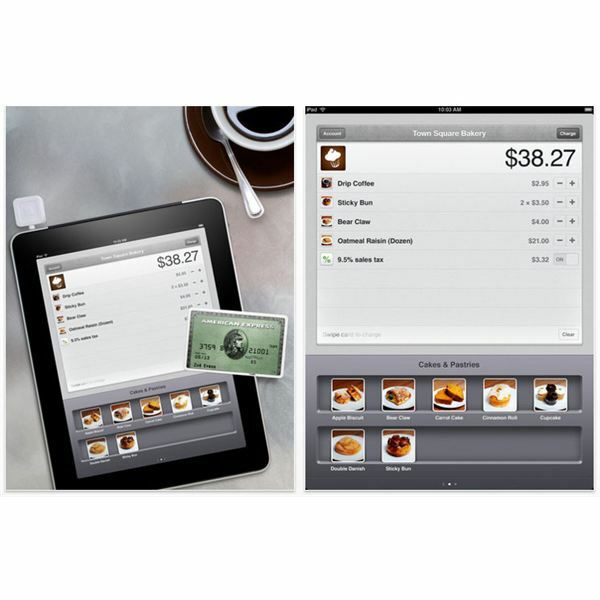 It lets you process credit card transactions from your iPad, and the app is free. You just sign up for an account and they'll send you a free credit card reader that plugs into the earphone jack, then you can swipe customer credit cards and take payments. In exchange for this service, the developer behind Square gets a 2.75% transaction fee off every sale. You can learn more about the service at Squareup.com. If you keep track of stocks, you probably found the iPad's built-in stock ticker to be rather lacking. 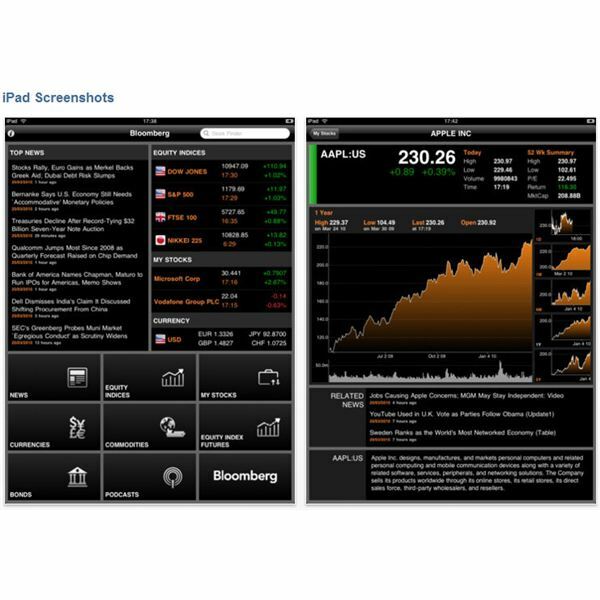 Since the Bloomberg app is free to use and packed with so many features, there really is no reason not to switch to it. This app lets you look up stock values in real time, watch your own stocks, and keep up with industry news. It's all customizable to only show what info you need, and is a must-have for any entrepreneur that puts their money into the stock market. 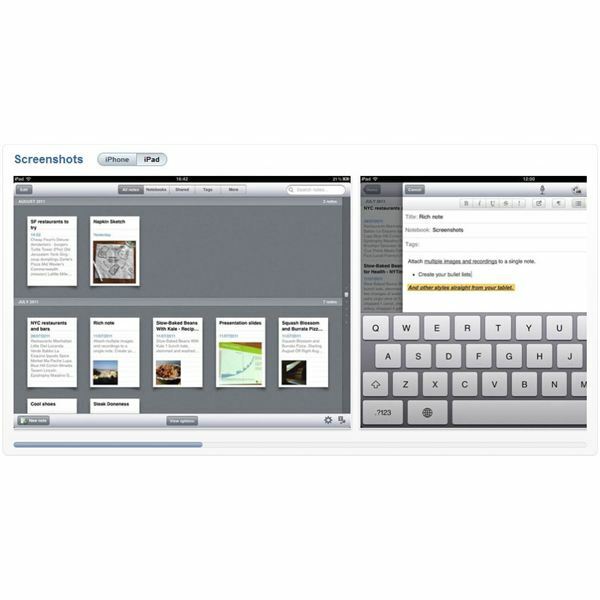 Need a word processor for your iPad? You might consider Pages. This app was actually designed by Apple and made exclusively for the iPad and iPhone. 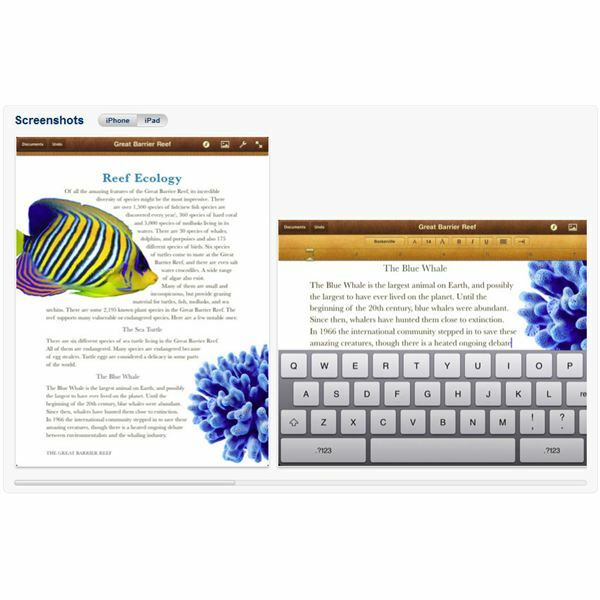 It is basically the equivalent of Microsoft Word for the iPad, and comes with a lot of great features and even some templates. It also lets you view and edit Word files, and then share them between devices. 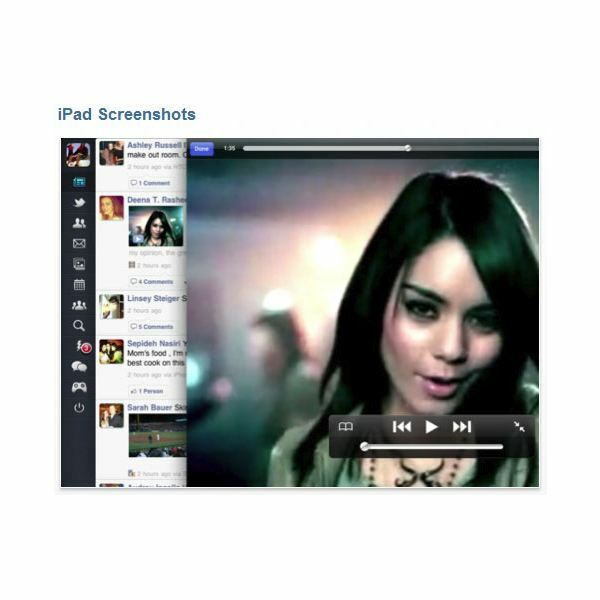 Pages currently sells for $9.99 and has received mostly positive reviews from hundreds of users on iTunes. The main complaint about it is that landscape editing is not supported. Although it's not required, you could get a lot more use from this with a dock and wireless keyboard. 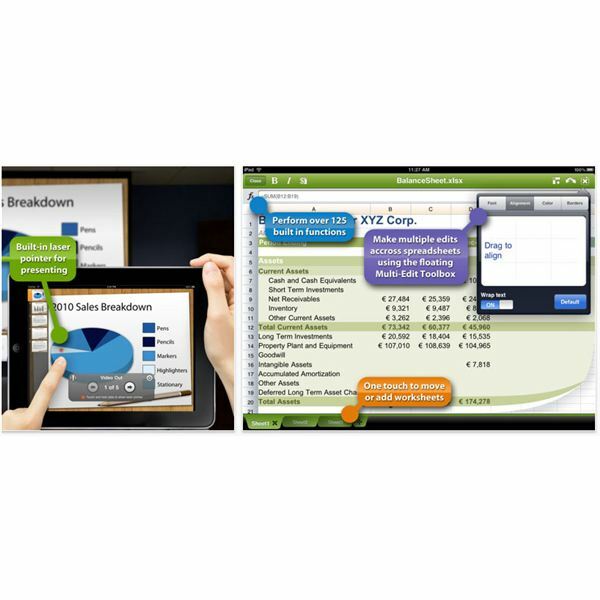 While Pages is great for word processing, you can use QuickOffice Pro HD to get the iPad equivalent of the Microsoft Office suite. This $19.99 app lets you create, edit, and view documents from Microsoft Word, Excel, and PowerPoint. You can save files to PDF, share them online, and much more. There are a few different Office type suite apps available, and QuickOffice Pro HD is the most popular on iTunes even though it is the most expensive. Your secondary options would be Documents to Go and Office HD, but keep in mind that none of these apps were actually made by Microsoft. For more info, read our Office app showdown. Part of being an entrepreneur means being able to keep up with money going in and out. Having good software to track all your income and expenses is not only a necessity, but also a good way of tracking your gains and losses. The Budgets app for iPad uses a gorgeous interface to let you track everything, then it can prepare graphs for comparison. You can also output the budget info to CSV files so you can import them into Excel. If you are the type of business entrepreneur who spends a lot of time flying around the world, then you've surely run into the occasional hassle of flights that have been delayed, overbooked, or cancelled. When important meetings could result in big money, you don't want to miss a thing, and that's where an app like Flight Trac Pro can come in handy. This app lets you view any delays in real time, and even provides weather information for wherever you may be headed. Time Magazine, Forbes, and the New York Times all gave this excellent ratings and considered it a must-have for business travelers. It sells for $9.99. Whether you like social networking sites or not, the simple fact remains that if you own a business, it needs to have a Facebook page and a Twitter account. This is a great way to stay in direct contact with your customers as well a potential customers, and any info you post via Facebook or Twitter could be more likely seen that something you'd put on a company website. This app is a great way to keep things updated, but it is not officially endorsed by either site. 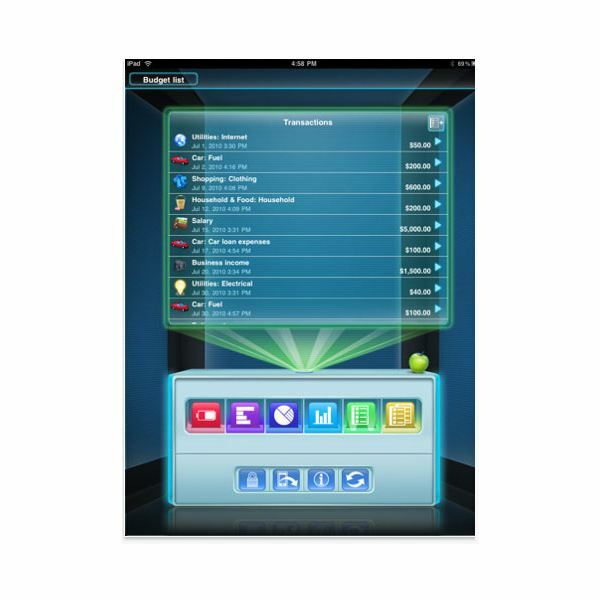 The base app is free and there is a MyPad+ version available with a few extra features for just 99 cents. Have you used these apps before, or is this the first time you've heard of them? I know sometimes the iTunes App Store can be a pain to dig through if you don't know what you're looking for. If there are other business apps you use that weren't mentioned here, please tell us about them using the comment section below. All iTunes App Store screenshots taken by author.